On a recent episode of KERA's "Anything You Ever Wanted to Know," a listener new to Texas asked for suggestions of books that would help him to learn about the Lone Star state. So we polled the smartest audience in radio, and here are the 12 books listeners recommended the most. We present them in alphabetical order. Do you agree with the books on this list? Have you read any of them? Which books are we missing? Let us know in the comments below. Description: "Texas may well be America’s most controversial state. Evangelicals dominate the halls of power, millions of its people live in poverty, and its death row is the busiest in the country. Skeptical outsiders have found much to be offended by in the state’s politics and attitude. And yet, according to journalist (and Texan) Erica Grieder, the United States has a great deal to learn from Texas." 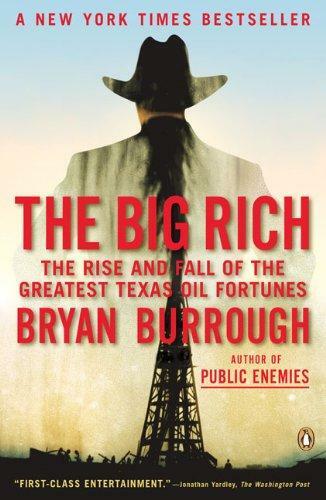 Description: "Weaving together the multigenerational sagas of the industry's four wealthiest families, Burrough brings to life the men known in their day as the Big Four: Roy Cullen, H. L. Hunt, Clint Murchison, and Sid Richardson, all swaggering Texas oil tycoons who owned sprawling ranches and mingled with presidents and Hollywood stars. Seamlessly charting their collective rise and fall, "The Big Rich" is a hugely entertaining account that only a writer with Burrough's abilities-and Texas upbringing-could have written. " Description: "Gone to Texas engagingly tells the story of the Lone Star State, from the arrival of humans in the Panhandle more than 10,000 years ago to the opening of the twenty-first century. Focusing on the state's successive waves of immigrants, the book offers an inclusive view of the vast array of Texans who, often in conflict with each other and always in a struggle with the land, created a history and an idea of Texas." Description: "In the 1950s, a series of dams was proposed along the Brazos River in north-central Texas. For John Graves, this project meant that if the stream’s regimen was thus changed, the beautiful and sometimes brutal surrounding countryside would also change, as would the lives of the people whose rugged ancestors had eked out an existence there. Graves therefore decided to visit that stretch of the river, which he had known intimately as a youth." 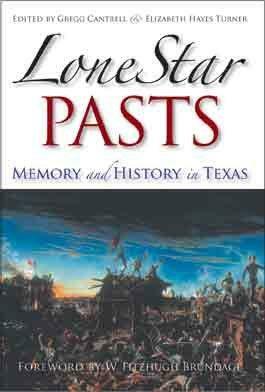 Description: "Here is an up-to-the-moment history of the Lone Star State, together with an insider's look at the people, politics, and events that have shaped Texas from the beginning right up to our days. Never before has the story been told with more vitality and immediacy. Fehrenbach re-creates the Texas saga from prehistory to the Spanish and French invasions to the heyday of the cotton and cattle empires. He dramatically describes the emergence of Texas as a republic, the vote for secession before the Civil War, and the state's readmission to the Union after the War. In the twentieth century oil would emerge as an important economic resource and social change would come. But Texas would remain unmistakably Texas." Description: "The past has long fingers into the present, but they are not just the fingers of fact. How we remember the past is at least as important as the objective facts of that past. The memories used by a people to define itself have to be understood not just as (sometimes) bad history but also as historical artifacts themselves. 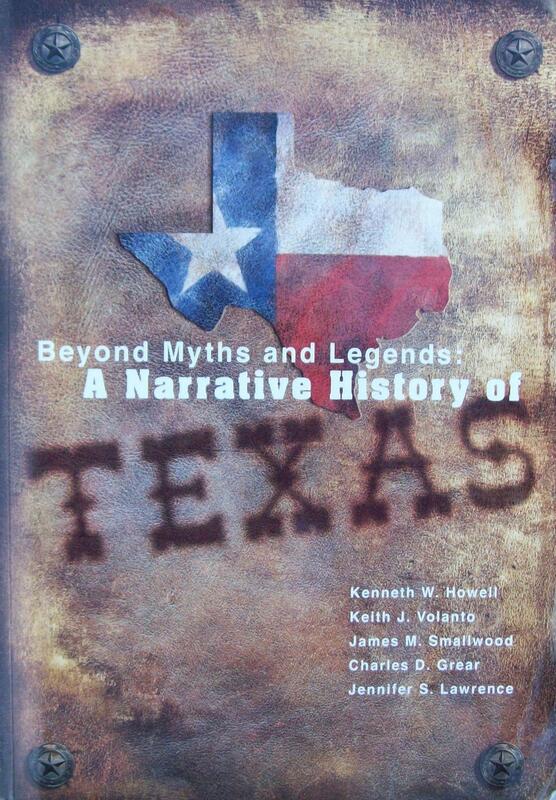 Texas’ pasts are examined in this groundbreaking volume, featuring chapters by a wide range of scholars." Description: "This is the firsthand account by one who measured up to the demands of danger and hardships and lived to write about it for others. For, here is history in the making--Indian raids and Mexican forays were daily menaces and brought massacres, capture and torture to these first settlers. These reminiscences...are invaluable for their recordings of early frontier times and for their presentation of such historic happenings as the Mier and Santa Fe expeditions. The original flavor of the writing has been beautifully retained and the entire account is well documented." 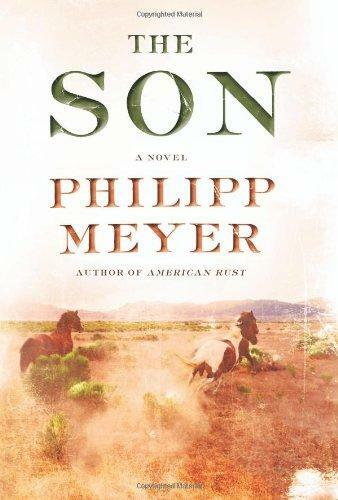 --Library Journal"
Description: "Philipp Meyer, the acclaimed author of "American Rust," returns with "The Son": an epic of the American West and a multigenerational saga of power, blood, land, and oil that follows the rise of one unforgettable Texas family, from the Comanche raids of the 1800s to the to the oil booms of the 20th century." Description: "Texas. A land of sprawling diversity and unparalleled richness; a dazzling chapter in the history of our nation, a place like no other on earth. Through the remarkable lives of four families, this epic saga spans four centuries and two continents and charts the dramatic formation of several great dynasties from the age of the conquistadors to the present day. A richly compelling novel of a proud people eager to meet the challenge of the land." 12. "Texas History Movies -- Collector's Limited Edition Hardcover" by Jack Patton and John Rosenfield Jr.
We all know Texans have a lot of state pride. And here’s more proof. Nearly 70 percent of Texas residents who were polled say their state is the best place to live in the country -- that's one of the highest rates in the United States. Only Montana, Alaska, Utah and Wyoming ranked higher in terms of people feeling positive about their state. Meanwhile, only 24 percent of Texas residents -- or about one in four -- say they would like to move out of the state if they could. That’s among one of the lowest rates of any state in the country. Drought-stricken North Texas has received lots of rain over the past few days – and Lake Granbury has benefited. We have video proof. Hitting the road anytime soon? Across Texas, you’ll pass through scores of towns. Some are poetic – Glen Rose, Pecan Plantation, Enchanted Oaks. Maybe you’ll drive through the trio of sisters in Collin County – Melissa, Anna and Josephine. There’s Sunrise and Sunset. A place called Paradise. There’s even Elmo and Kermit! But you’ll also pass through Texas towns with some strange names. What does the country think of Dallas? The poster's slogan is "Dallas: Big Things Happen Here." The reaction? Are Texans temperamental and uninhibited? That’s what a multinational team of researchers has discovered. The team collected personality test data from more than 1 million people. Researchers crunched all of that data and produced state-by-state ratings of personality and temperament. They mapped the American mood. What did they discover? America sure is moody. If you're the type who dreams of being surrounded by piles and piles of books, you would love the Think Tank, the corner of the KERA building where the Think crew prepares each show.